Many people have heard the adage, “An apple a day keeps the doctor away.” Or, they grew up with parents who said, “Eat your vegetables because they’re good for you.” Those parents may not have realized it, but they were on to something when it comes to brain health and dealing with Alzheimer’s disease. According to health professionals, certain fruits and vegetables along with other foods and activities may help maintain good brain health and fight the effects of dementia. 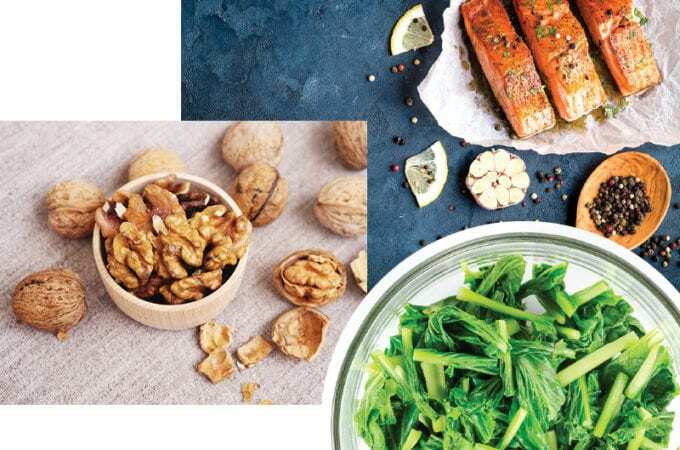 We asked area professionals to dish up some helpful advice on food choices for optimum brain health. Health professionals can offer recommendations for overall diets and eating plans that are beneficial for your particular needs. According to registered dietitian Jennifer McDaniel of McDaniel Nutrition Therapy, one good option is the Mediterranean diet. It includes olive oil, which has been shown to eliminate plaque buildup in blood vessels; this is helpful for brain function. The diet also includes other items experts recommend, such as fish, fruits, vegetables, nuts and whole grains. Registered dietitian Amy Knoblock-Hahn of Whole Food Is Medicine suggests a whole food diet, which limits or eliminates highly processed foods. Quinoa is an important whole grain that she often recommends. Dr. Sita Kedia, chief medical officer at PALM Health, also supports a whole food diet and suggests limiting processed sugars as well. 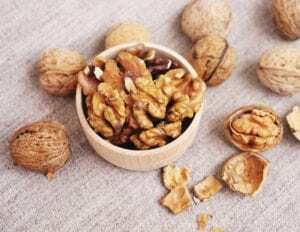 Many health professionals are in agreement on the benefits of nuts. Knoblock-Hahn says walnuts are a good source of Omega-3 fatty acids, and while they and almonds receive the most attention, other nut varieties have health value, too. McDaniel recommends almonds and hazelnuts, and says about an ounce a day is helpful. Knoblock-Hahn adds that sunflower and pumpkin seeds are good choices as well. McDaniel says nuts and seeds can be consumed on their own, combined with other foods such as cereals or yogurt, or eaten in trail mix. 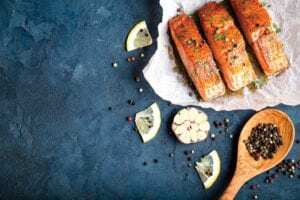 Omega-3 fatty acids can be found in fish such as salmon, trout and tuna, and they can help with cognition and communication between brain cells. McDaniel recommends eating fatty fish two to four times a week. 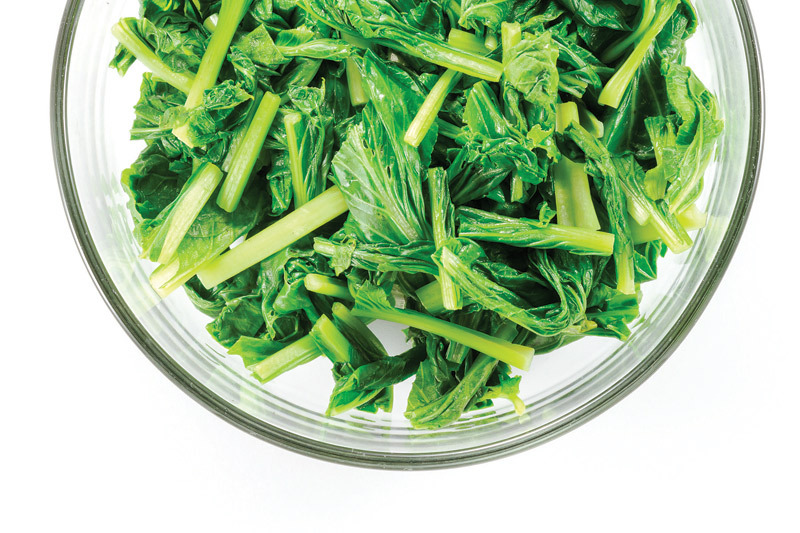 In cartoons, Popeye the Sailor ate spinach for strength, but professionals say dark green, leafy veggies like spinach, broccoli, Swiss chard and kale also can be good for the brain because they contain antioxidants. These vitamins, minerals and enzymes protect the body from the damaging effects of free radicals, which come from sources such as pollution and tobacco smoke. Antioxidants also are found in fruits like blackberries, blueberries and cherries. Kedia suggests a diet that incorporates these foods on a daily basis.